I figured it might be fun if I’ll do a small review of my SCOOP Main Event, the Limit Hold’em events. Let’s break it down! The 20th of May was a big day for me. Online there are only 2 tourneys every year in which you can win a reasonable amount of money playing Limit Hold’em, SCOOP and WCOOP. The SCOOP even has 3 tourneys at the same time (low/medium/high) which creates a decent amount of value for experienced Limit players. 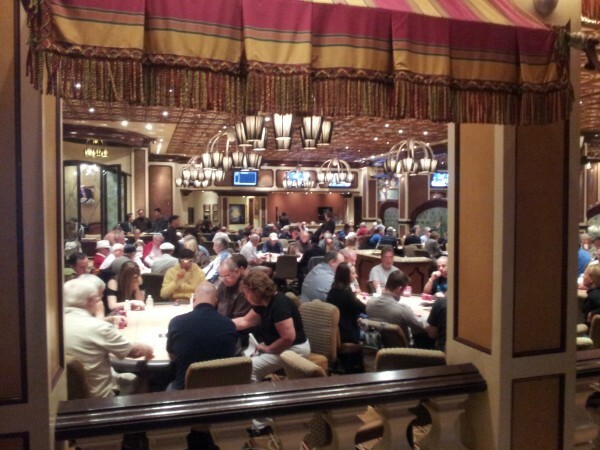 The level of play in the low buy-in is never that high, the medium always gets a decent amount of runners due to the buy-in still being affordable for a tournament that only runs twice a year and the high buy-in attracts a lot of pro’s who play every SCOOP since they figure they can never be that far behind in a game as simple as Limit Hold’em or possibly they try to make a run for the SCOOP Leaderboard. That does mean that the type of “bad” players is very different between the different buy-ins, but there is value in these tourneys for sure. The variance is even higher in Limit then in No-Limit tourneys so you need a little run good but you need that anyway when you are competing in big tourneys with a relative small sample size of hands you get to play. The 3 main tourneys started at 20:00 and during the day there were a pretty decent amount of satellites scheduled in which I presumed was a pretty decent amount of value. I decided to play as many as I could from 15:00 onwards and I think that in the end I played roughly 90% of the satellites that run towards the medium or high buy-in. The satellites offered were in many different formats, multi table SNG’s, single table SNG’s, Hypers, Turbo’s, Steps, basically anything you can think of. Every format had a different pay-out structure so I really had to pay attention if I was playing the bubble or not, the number of players at the table certainly didn’t provide sufficient information. Some satellites only awarded one ticket which resulted in heads-up play which is always difficult to handle when you are playing 8 different satellites at the same time. I probably missed some value in mixing to many different formats at the same time but there isn’t any other day in the year in which so many Limit Hold’em satellites run so I wasn’t able to practice beforehand to prepare myself a little better. I was lucky to win 2 tickets to the $700 qualifier to the high buy-in but that satellite wasn’t really deep stacked and after only losing 1 big hand I was already out. Not winning a $700 satellite when most other satellites only award $215 means a heavy impact on your ROI so unfortunately I finished my batch of 50 satellites with a small loss. The level of play got better during the day when more Limit regulars started to play satellites so maybe next time I need to be a bit more selective but on the other hand winning the $700 satellite would have boosted my ROI to a pretty good level so in the end it’s all down to variance. My table draw in the low was decent, 2 good players and 3 bad ones so plenty of value there. In the first hour I managed to run up my stack to 7.000, decent with the low blinds still around. It’s nearly impossible to bust within the first hour and I certainly wasn’t planning to do so. In the 2nd hour I managed to keep a healthy stack despite running into two bad river cards which cost me two decent sized pots. During the 2nd break I had 9.100 points which was above average. Unfortunately during the 3rd hour I couldn’t take down any decent pot and when I got JJ right after the 3rd break I hoped to get a chance to double up. Well that didn’t work out as planned and since I was the Big Blind in the next hand with only 1.340 points left I had to go all-in with 65o. No help on the board so it was the low buy-in which I busted first. Ultimately the winner was Koraseg, a good regular who took down $12.314 in a $27 tournament, pretty decent for a Limit tourney! Well known fellow Dutchie Paul “padjes” Berende took down 4th place winning $4.548. In the 1st hour of the medium not much had happened but in the 2nd hour I could finally get some things going. The most notable however was the fun atmosphere at the table which doesn’t happen a lot online since most people don’t have a lot of time to chat. Since the Limit community is rather small most people know each other and I happened to have a table full of familiar faces. Even people jumped in from the rail and because I was only playing 3 tourneys it was easy to chat along which made it almost feel like a live tourney at some moments. The table wasn’t that easy and those players who weren’t familiar busted first and got replaced by other familiar faces. Luckily I was doing pretty well and after the 3rd hour I was constantly in the top100. With 35.000 points after the 4th hour I was really doing well and a couple of good players already busted at my table so it was time to start running over the table. The poker gods however had another plan and I either got unplayable hands or hands at the bottom of my range with flops which only cost more money. 5 marginal hands later and I busted in 107th place, 84 places got paid. Calvin “Cal42688” Anderson managed to win the tourney, taking home $23.634 which also was a pretty decent amount for a Limit tourney, luckily I was still in the high! I hoped that my semi-bluf on the flop looked pretty strong since committing so many chips close to the bubble must mean I had something. I almost jumped up hitting the river but instead of hitting the jackpot I had to call with my half a bet left and busted in 20th place just 2 places short of the money. Out, no $68.120 even worse, nothing at all. As a cashgame player I really can’t ever get used to the feeling of busting tourneys this deep. 7 hours of play for nothing and my “Main Event” was over. Looking at the remaining players less than 50% were Limit regulars, I really had hoped for more but those last 10 orbits were really killing. The structure of the tourney was really good, meaning there was a lot of room for post-flop play but you still need to pick up a hand every now and then. After a pretty long heads-up it was Jarcon86 who took it down. Now I can only wait till the WCOOP since I’m skipping the WSOP this year. I was pretty close to booking a ticket after I busted because I really love playing “big” Limit tourneys. Last WCOOP I finished 11th so I hope to do better this year! Tijd voor deel III van de wereld van Limit Hold’em Poker, lees hier deel I & II. Deze keer een review van de Limit toernooien die ik speelde tijdens de laatste SCOOP. 20 mei was voor mij de grote dag afgelopen SCOOP. Online kan je eigenlijk maar 2 keer per jaar echt veel geld winnen met het spelen van Limit Hold’em toernooien, tijdens de SCOOP en WCOOP. De SCOOP heeft ook nog eens 3 toernooien tegelijk (low/medium/high) wat toch aardig wat value oplevert voor de bedreven Limit spelers. Het niveau van de low zal nooit hoog zijn, in de medium vind je nog veel spelers die de buy-in nog wel betaalbaar vinden voor 1 keertje maar eigenlijk helemaal niet zo goed zijn en in de high zijn de “vissen” vooral No-Limit spelers die sowieso elk toernooi spelen tijdens de SCOOP omdat ze het leuk vinden, voor het leaderboard gaan of omdat ze denken dat ze nooit heel ver achter kunnen liggen. Wat dat betreft is het dan ook best lastige schakelen soms omdat je veel verschillend type “vis” tegenover je krijgt. De variantie in Limit is ook nog eens vele malen hoger dan in No Limit waardoor het al met al toch een beetje goed runnen is, iets wat natuurlijk altijd wel zo is in toernooien met veel spelers. De drie hoofd toernooien begonnen om 20:00 en op de dag zelf liepen er aardig wat satellites waar ik toch wel aardig wat value in zag. Ik besloot er dan ook vol voor te gaan en heb denk ik 90% van alle satellites naar de medium of high gespeeld. Dit waren multi table rebuy SNG’s, single table SNG’s, Hypers, Turbo’s, steps eigenlijk echt van alles wat dus het was nogal een behoorlijke mix van verschillende type tafels. Elk toernooi kende weer een andere pay-out waardoor het soms best opletten was of we niet al bij de bubble waren beland. Andere satellites betaalde maar 1 ticket uit, waardoor er soms best lang heads-up gespeeld moest worden en dat is dan weer best lastig als je 8 andere toernooitjes open hebt. Al met al denk ik dat ik hier en daar wel wat value heb laten liggen maar omdat er op geen enkele andere dag per jaar überhaupt satellites lopen naar Limit Toernooien is het niet iets waar ik me beter op had kunnen voorbereiden. Ik won 2 tickets voor de $700 satellite naar de High buy-in, echter was die satellite nou niet echt deep stacked en verloor ik 1 grote hand en kon alweer afscheid nemen. Een $700 kostende satellite niet winnen als de meeste andere satellites maximaal $215 uitkeren betekend dat dit een behoorlijke impact heeft op je ROI, dus helaas sloot ik de 50 gespeelde satellites af met een klein verlies. Het niveau werd naarmate de dag voorderde steeds lastiger aangezien er meer goede Limit spelers zicht gingen bemoeien met de satellites, een volgende keer moet ik misschien iets selectiever zijn zodat ik ook beter overzicht kan houden maar een winst in de $700 satellite had een ruime winst betekend wat dus duidelijk aangeeft dat het behoorlijke variantie onderhevig is. Mijn table draw voor de Low was redelijk, 2 goede spelers en 3 slechte spelers dus genoeg value om op te pikken. In het eerste uur wist ik van 5.000 chips naar 7.700 te stijgen wat prima is zeker gezien de nog vrije lage blinden. Het is bijna onmogelijk om in het eerste uur te busten dus daar was ik sowieso niet bang voor. Na de break kon ik mijn stack aardig op peil houden, zeker gezien het feit dat ik aan het einde van dat uur nog 2 zure rivers om mijn oren kreeg in vrij grote potten. Hierdoor ging ik met 9.100 punten de tweede pauze in, want nog altijd boven average was. Het derde uur kon ik echter geen potten breken en met 6.800 punten was de JJ die ik direct na de break kreeg dus ook een goede kans om te verdubbelen. Dat lukte dus helaas niet en aangezien ik de volgende hand de Big Blind mocht posten met nog 1.340 punten over ging het erin met 65o en zonder hulp was de low het eerste toernooi waar ik uit lag. De uiteindelijke winnaar was Koraseg, een goede regular die toch $12.314 verdiende in een $27 toernooitje. Paul “padjes” Berende werd nog netjes 4de voor $4.548. Na het eerste uur in de Medium was er nog niet veel gebeurd maar in het tweede uur ging het al iets beter. De tafel was vooral gezellig en dat gebeurd online eigenlijk niet zo heel vaak. De Limit community is vrij klein dus sowieso kennen de meeste mensen elkaar wel en het was dan ook redelijk druk in de chat. Niet alleen de spelers waren lekker aan het chatten maar ook de rail deed gezellig mee. De tafel was niet echt makkelijk, en de slechte spelers die buste werden ook nog eens vervangen door toppers maar aan mijn stack was dat niet te merken want ik stond vanaf het derde uur constant in de top100. Met bijna 35.000 punten na het vierde uur had ik een aantal goede spelers inmiddels ook zien busten en was mijn tafel prima om lekker door te stomen, echter kwam er een kleine kink in de kabel. Ik kreeg 5 marginale handen achter elkaar die je gewoon moet openen, maar zonder te hitten koste dit aardig wat punten bij elkaar en zo ging ik van super gezonde stack naar busto binnen 1 uur. 107de, met 84 plaatsen die betaalde was best jammer zeker gezien 1 van die 5 handen hitten waarschijnlijk voldoende geweest was om wel het geld te halen. Calvin “Cal42688” Anderson wist het toernooi te winnen, $23.643 was toch ook wel een prima prijsje geweest voor mij om te winnen maar we zaten nog altijd in de High. Een semi-bluf op de flop wat mij wel sterk leek ook gezien het feit dat we rond de bubble zaten en een hit op de river die niet mijn redding was maar mijn ondergang, betekende het einde van het toernooi. 20ste, net naast het geld wat toch redelijk zuur was, maar ook geen kans meer op $68.120 waar ik toch redelijk mijn zinnen op had gezet. Als cashgame speler blijf ik toernooien diep busten toch altijd slecht trekken, bijna 7 uur zitten kaarten voor niets. Mijn “Main Event” deze SCOOP was weer voorbij en kijkend naar de overgebleven spelers waar meer dan de helft geen Limit regular was had ik toch echt op meer gehoopt. De structuur was echt super goed in de High waardoor er nog veel ruimte was voor flops spelen tijdens de finale tafel. De voor mij onbekende Jarcon86 ging er vandoor met de eerste prijs na een vrij lange Heads-Up vanwege de goede structuur. 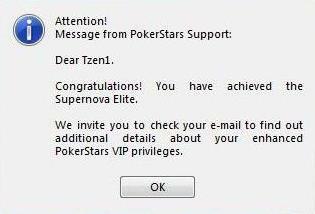 Nu is het wachten op de WCOOP voor mij aangezien ik dit jaar de WSOP oversla, maar nadat ik gebust was had ik echt bijna een ticket geboekt want zo’n “groot” Limit toernooi is voor mij toch wel echt het mooiste wat er is! The first poker game I played was a cashgame. I think a lot of people started with small SNG’s at home with friends but back when I started I didn’t even know you could play the game in a tournament format until at least 2 years later. My main game has always been cashgames and I doubt that will ever change but why do these tournaments still attract me? I think it’s a struggle many poker players face and now that the SCOOP is starting on the 12th the itch to play tourneys is back again. Seeing the list of 44 different tourneys with 3 different buy-ins creates an instant reaction to grab the calendar and start planning which of these tourneys you want to play. I really love playing tournaments, nothing feels so sweet as going deep in a tournament. On the other hand nothing feels as bad as busting late in a tournament ending up with what feels like almost nothing and see another dream scattered. I’m ready for this year’s SCOOP! During the WCOOP last year I made a deep run in the $215 Limit Hold’em tourney, finishing 11th so I’m really excited again for the Limit H0ld’em format on the 20th of May, I’ll probably play all 3 buy-ins although I remember from last year that it was hard for me to focus on the low variant when still playing the high and when I busted the high buy-in it was even harder to keep playing my A-game in the low variant. Big guarantees create dreams and nothing is more fun than dreaming about winning big prizes. I remember going to the WSOP in 2009, playing the Main Event. Months before going I lived up to this tournament and many people asked how much I could win. $8,547,042 for 1st, crazy money and enough to live the dream! After 6 hours my dream was scattered and I already started thinking about my next opportunity to go after the big money. Last year during the WSOP I played my last big tourney so it’s already a long time ago. This year I have no plans yet to go to Vegas and it’s itching already for some weeks now. I haven’t planned anything because I’m really busy with living healthy and cycling almost every week at least until mid July. Going to the WSOP this year would not really help my cycling goals for this year but I’m thinking about playing something else maybe in September/October or still go to Vegas, just not the World Series. Als je de ambitie hebt om ooit de top te gaan halen dan adviseer ik je om direct in de 6-max cashgames te duiken. 6-max is de meest gespeelde variant en vanaf $3/$6 is er nauwelijks nog aanbod van full-ring tafels. $30/$60 6-max games draaien altijd wel op de piek tijden dus er is genoeg ruimte om up te moven. Boven de $30/$60 draaien er ook regelmatig 6-max games maar boven de $200/$400 heb ik deze maar sporadisch gezien, daar heb je ook een behoorlijke bankroll voor nodig dus daar zou ik mij niet heel druk over maken. 6-max is echter ook de game waar de meeste professionele grinders zitten dus het is zeker niet de softste variant. Voor professionele spelers geeft 6-max het voordeel dat als er een slechte speler aan tafel zit, dat je veel vaker met hem in de hand zal zitten, zo kan je deze speler meer uitbuiten en dit zal ten goede komen van je winrate. Als slechtere speler is het precies het omgekeerde, aan een 6-max tafel zit je vaker tegen de betere spelers en zal het moeilijker zijn om je verliezen te beperken. De softere games zijn dan ook zeker de full-ring games omdat er daar veel minder professionele spelers zitten te grinden. Als je ABC speelt op een full-ring tafel tot ongeveer $2/$4 dan zal je al break-even spelen, als je dan notes maakt op spelers en wat creatiever gaat spelen dan zal je al zien dat je deze tafels winnend kan grinden. De afweging full-ring of 6-max is dan ook geen makkelijke. Als je Limit echt wilt grinden dan zal je moeten multi-tafelen en aangezien het aanbod van full-ring games niet zo groot is boven de $1/$2 is het niet mogelijk om boven deze limiet te 8+ tafelen. Zoek je echter de softste games op dan zijn de full-ring games beduidend softer dus waarom deze dan niet grinden? Zelf mix ik vaak full-ring met 6-max tafels. Ik pak zoveel mogelijk full-ring games en vul deze aan met 6-max tafels tot in totaal zo’n 12 tafels. Ik ben zelf ooit begonnen met full-ring en ben overgeschakeld naar 6-max, mijn ABC full-ring spel is daarmee zo solide dat ik deze tafels tot $5/$10 eigenlijk altijd erbij kan pakken zonder dat deze heel veel aandacht van mij vragen. Indien je moeite hebt met blind vs blind play dan zal je dit vooral merken in 6-max games omdat je daar veel vaker blind vs blind play zal tegenkomen. Je zal je moeten kunnen aanpassen aan het spelen tegen hele wijde ranges van handen en dat maakt dan ook de 6-max games zoveel lastiger dan full-ring. Deze situaties zou je echter zoveel mogelijk moeten oefenen, misschien wel door heads-up te spelen! Het heads-up aanbod is er eigenlijk van de laagste tot de hoogste stakes. Zo heel af en toe zijn er zelfs $500/$1.000 heads-up games en dit is meestal toch wel een behoorlijk spektakel om te zien. Het nadeel van heads-up games is wel dat er boven de $10/$20 geen dedicated heads-up tafels meer zijn. Wil je dus hoger spelen dan $10/$20 dan zal je altijd aan een 6-max of full-ring tafel moeten gaan zitten. Dit betekend dat je het niet kan voorkomen dat er meerdere spelers joinen maar indien je echt heads-up met iemand wilt spelen dan voldoet het vaak om dit gewoon in de chat aan te geven. 99% van de spelers respecteert dit gewoon netjes dus het is zeker niet onmogelijk om boven de $10/$20 heads-up te spelen. Gebruikelijk is wel dat je dit op een full-ring tafel doet, dit is min of meer een ongeschreven regel maar het is ook geen ramp mocht je hier niet aan gedacht hebben. Er zitten wel behoorlijk veel goeie spelers te wachten op heads-up tegenstanders vanaf $1/$2 en hoger dus voordat je op dat soort limieten gaat spelen is het belangrijk om de playerpool in kaart te brengen. Ga er gewoon vanuit dat iedereen die op meerdere tafels zit te wachten op een tegenstander dat deze speler goed is. Ga een paar dagen door de lobby en geef deze mensen een kleurtje en de keer dat je een speler ziet die maar op 1 tafel zit te wachten en die nog geen kleur heeft is waarschijnlijk een geschikte tegenstander om tegen te spelen. Het is echter niet mogelijk om beter te worden als je nooit tegen betere spelers speelt dus het is helemaal niet erg als je zo nu en dan een goeie tegenstander opzoekt en gaat aftasten welk niveau je kan beaten. Limit heads-up is echt een action game. In de small-blind speel je zo’n 85% van je handen en in de big blind zo’n 95% van je handen! Dat zijn dus echt super wijde ranges en pre-flop folden is er dan ook nauwelijks bij. Elke goeie speler zal zo’n grote range van handen spelen dus je winst komt eigenlijk puur van je post-flop spel en dat maakt heads-up games spelen zo goed voor je Limit game in het algemeen. Bijna elke hand zal je goed post-flop moeten leren spelen en aangezien je tegenstander een super wijde range van handen heeft zal je ook hier heel veel oefening in krijgen. De swings zijn daardoor ook wel enorm maar er is geen betere oefening voor blind vs blind play dan zo nu en dan een heads-up tafel openen. Zorg er wel voor dat je qua ranges terugschakelt als je van een heads-up tafel naar een 6-max tafel gaat, je tegenstanders hebben daar namelijk veel tightere ranges wat weer aanpassingen aan jou spelt vergt. No Limit is wat mij betreft een geschiktere vorm voor toernooien en sit & go’s, waarschijnlijk vooral omdat fold equity iets is wat je nauwelijks hebt in Limit toernooien, maar o zo belangrijk is in No Limit toernooien. Limit is vooral een spel wat geschikt is voor cashgames. Het aanbod aan toernooien en sit & go’s is daarom wat beperkter maar daarmee niet minder interessant op de lagere stakes. Er draaien dus niet zo heel veel sit & go’s maar het zijn misschien wel de softste Limit games die je kan vinden. Ik heb zelden een goeie Limit speler sit & go’s zien spelen, hogere stakes uitgezonderd. Ze echt grinden om veel geld te verdienen is vanwege het lage volume niet mogelijk maar als je Limit wilt spelen en sit & go’s leuk vindt dan raad ik ze je zeker aan. Ze zijn qua oefening ook goed omdat je naast full-ring of 6-max ook short-handed en heads-up zal moeten spelen en dit komt weer ten goede aan je algehele spel. Heads-up sit & go’s zijn helemaal geschikt als je van plan bent om heads-up te gaan spelen, dit omdat in verhouding de rake vrij laag is en je dus veel handen kan oefenen zonder heel veel rake te betalen. Het aanbod van Limit toernooien is ook niet heel groot maar ook deze zijn over het algemeen vrij soft. De $10,20 hyper-turbo toernooien ben ik niet een heel groot fan van omdat ik hyper-turbo niet echt een geschikt format vind voor Limit maar de andere full-ring en 6-max toernooien zijn over het algemeen erg soft en hebben vrij kleine velden. Je kan kleine velden zien als een nadeel omdat de eerste prijs ten opzichte van de buy-in niet heel hoog is maar aan de andere kant is je variance hierdoor veel lager waardoor ze eigenlijk vrij goed zijn om te grinden. Tijdens de grote toernooien zoals de MicroMillions, SCOOP of WCOOP zijn de Limit toernooien 1 groot feest. Zet 20 Mei dan ook alvast in je agenda want dan is het 6-max Limit toernooi tijdens de SCOOP met een buy-in van $27, $215 & $2.100! Deze toernooien trekken heel veel No Limit spelers die een gokje willen wagen en die maken meestal alle standaard fouten die er zijn in Limit. Met de basis kennis van Limit en een klein beetje ervaring moet je al ruim voor liggen op het veld in de low variant van de SCOOP. In Nederland zijn er nog maar weinig Limit cashgames te vinden en de rake in deze games is zo hoog dat ik zou adviseren deze niet te spelen. In Las Vegas echter is de rake sowieso lager en er is nog wel redelijk wat aanbod in cashgames. Zoals wel gebruikelijk in live games wordt er enkel full-ring aangeboden dus wat dat betreft is het niet onhandig als je al wat full-ring ervaring hebt opgedaan online voordat je naar Las Vegas afreist om daar eens een gokje te wagen. In de Bellagio is de meeste aanbod van Limit cashgames en bieden ze $4/$8, $10/$20, $20/$40, $40/80 en op aanvraag ook hoger aan. Omdat de $4/$8 game de laagste stake is kan je daar een behoorlijk belabberd niveau verwachten. Verwacht gerust 5-8 man die de flop willen zien en daarmee is het te vergelijken met +/- $0,25/$0,50 online. Verwacht van de $10/$20 game dat het ongeveer speelt zoals $1/$2 en de $20/$40 game kan behoorlijk variëren, maar veel lastiger dan $5/$10 online zal het niet worden. Wat mij betreft is zeker live, Limit een veel leuker spelletje dan No Limit want je kan veel meer handen spelen en er wordt veel sneller gespeeld waardoor je niet elke hand op iemand hoeft te wachten die na 3,5 minuut weer een herofold maakt, iets waar ik zelf niet zo heel goed tegen kan als ik live No Limit zit te spelen. Mocht je nog vragen hebben dan weten jullie mij vast te vinden. Mocht je een poging gaan wagen, heel veel succes en hopelijk tot 20 Mei tijdens de SCOOP! * Copy of my monthly blog on http://www.pokerstarsblog.nl/ which is written in Dutch. Ik schrijf mijn blogs altijd in het Engels. Zo’n 50% van de bezoekers van www.tzen1.com is Nederlands dus het is op zich best logisch om een Engelstalige blog te schrijven. Schrijven in het Nederlands is niet mijn sterkste punt, maar het is op zich ook wel een keertje fijn om in het Nederlands te schrijven. Hierbij dus mijn eerste Nederlandstalige blog en als er genoeg animo is dan zal dit waarschijnlijk een maandelijkse terugkerend item worden. Wie mijn blog de laatste tijd gevolgd heeft zag vooral veel posts over fietsen. Momenteel is dat mijn grote passie en ik schrijf altijd over wat mij bezig houd, dat hoeft niet specifiek poker te zijn. In deze Nederlandstalige blogs wil ik het echter maar bij 1 ding houden en dat is poker, voorlopig zelfs iets specifieker namelijk Limit hold’em. Ik krijg namelijk nog steeds heel veel vragen over waarom ik bijna exclusief Limit speel en al kan ik de meeste van jullie vast niet overtuigen, ik ga het toch proberen. Ik wil een klein kijkje achter de schermen geven van hoe de Limit wereld in elkaar steekt, waarom ik Limit speel en hoe het mij vergaat op de tafels. Ik begin maar even bij het begin, sterker nog ik ga terug naar 2005. In 2005 bezocht ik Las Vegas voor de tweede keer samen met mijn vader en mijn pokermaatje. Het eerste jaar wilde we vooral kennis maken met de stad, 6 dagen niet slapen en vooral veel casino’s bezoeken en zo nu en dan een gokje wagen op de blackjack tafels. Dit jaar echter gingen we iets langer en was het plan om wat minder rond te kijken en wat meer te doen. Ik had al aardig wat poker gespeeld in mijn leven, maar op dat moment had ik al jaren niet meer gespeeld. Van 1997 tot 2000 had ik vooral in homegames gespeeld en won toch wel iets vaker dan dat ik verloor. Het eerste jaar in Las Vegas had ik de pokertafels wel zien staan, maar durfde ik eigenlijk niet te gaan zitten tussen al die vreemde mensen. Dit jaar wilde ik echter mijn geluk wel beproeven op de pokertafels. Ik sliep dat jaar in Circus Circus (lekker goedkoop) en ook daar hadden ze een kleine pokerpit. Er waren uitsluitend oude kerels die aan het spelen waren, 50 plussers die lekker aan het kaarten waren met een peuk en een drankje. Er waren meestal 3/4 tafels open, 2/3 van die tafels waren 7 card stud poker en 1 tafel was hold’em, Limit welteverstaan! Natuurlijk schoof ik aan bij de 7 card stud poker tafel, wie speelt er nu hold’em? Ik herinner mij nog een discussie aan tafel als de dag van gisteren. De hold’em tafel stond in de hoek met daarboven een TV waarop ze poker uitzonden. Ook op TV was het hold’em wat er gespeeld werd, No Limit zelfs! De oude bokken aan mijn tafel waren aan het klagen, hold’em vonden ze maar niks. Zo kreeg je maar 2 kaarten, hoefde je niet op te letten welke kaarten er al uit het spel waren zoals bij Stud en was het wat hun betreft vooral veel gokken en weinig berekenen, zeker bij No Limit. Echter ze waren wel van mening dat hold’em het nu eenmaal beter deed op TV, hold’em bracht meer actie en zo ook meer kijkers. Ze vonden het verschrikkelijk dat in de meeste andere casino’s tenminste de helft van de tafels tegenwoordig al hold’em waren, dit was vooral gekomen door de TV uitzendingen van de WPT en WSOP en bijna alle nieuwe mensen die gingen pokeren begonnen met het spelletje waar ze zelf naar keken, hold’em dus. Na Vegas dat jaar begon de pokerboom zo’n beetje in Nederland. In elke kroeg werd er plots poker gespeeld en ook ik pakte het spelletje weer op. Ik was nooit vies van kaarten voor geld en aangezien ik een stuk meer ervaren was dan de meeste beginners ging het voor de wind. Toernooien waren meestal al No Limit maar bijna alle cashgames waren Limit. Mensen wilde het vooral voor de fun spelen en aangezien je niet al je geld in 1 keer kwijt wilde raken was het voor de meeste beginners gewoon leuker om Limit cashgames te spelen. In Holland Casino was het ook vooral Limit wat er gespeeld werd en toen in Holland Casino Zandvoort twee cashtafels geopend werden was er niet eens een keuze. In het begin waren de tafels alleen open op de maandag en was ik er iedere week te vinden, daarna volgde al snel de dinsdag en niet veel later kon ik elke dag richting het Casino. 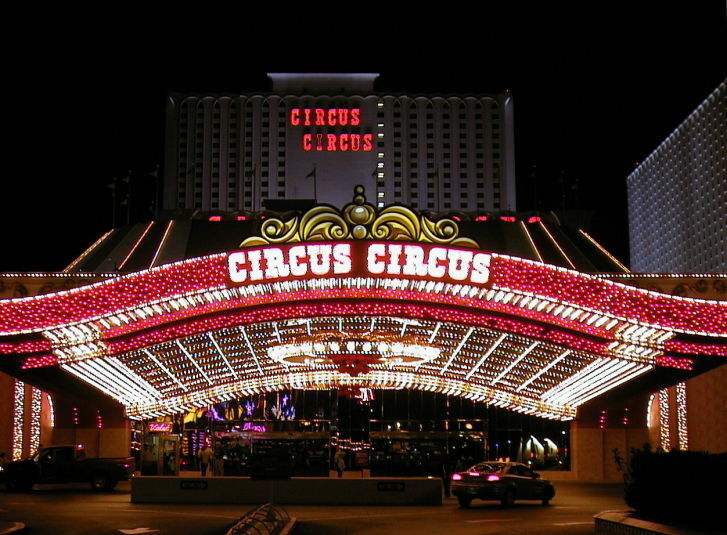 In 2006 keerde ik weer terug naar Las Vegas en daar had een complete metamorfose plaatsgevonden. Poker werd opeens door iedereen gespeeld, 7 card stud tafels waren nauwelijks meer te vinden en je kon eigenlijk alleen maar hold’em spelen. No Limit werd inmiddels ook overal aangeboden maar zelf was ik Limit gewend dus schoof ik ook in Vegas aan op de Limit tafels. Ik bleef winnen en toen ik de overstap in 2006 maakte naar Online poker op PokerStars was de keuze voor mij dan ook vrij simpel, Limit hold’em. Ik speelde vanaf dat moment bijna uitsluitend online en specialiseerde mij in waar ik al goed in was. Never change a winning formula was mijn motto. Ik speelde wel eens wat toernooien en vond het prima om daar wat No Limit te spelen, maar ik verdiende prima geld in de Limit cashgames dus er was geen enkele reden om ook maar over een switch te denken. De jaren die volgde waren allemaal zeer succesvol. In 2008 draaide ik voor het eerst serieus volume, in 2009 ging ik parttime werken en parttime pokeren en speelde ik nog steeds alleen maar Limit. In 2010 werd ik SuperNova Elite door ruim 1,5 miljoen Limit handen te spelen. No-Limit was verreweg de populairste variant, maar ik zag nog steeds geen enkele reden om van koers te wijzigen. In 2011 veranderde dat helaas. De resultaten waren in 2010 al een stuk minder, maar ik gaf vooral het belachelijke volume dat ik speelde de schuld. De resultaten aan het begin van 2011 waren weer prima maar toen kwam op 15 April Black Friday. Dit veranderde de hele poker economie en had ook een grote impact op de Limit tafels. De meeste slechtere spelers bestonden namelijk uit Amerikanen en die konden niet meer online pokeren. Iedereen zijn winrate ging omlaag, maar dit was niet alleen het geval in Limit. Ook No Limit spelers ondervonden dat het lastiger was om winstgevend te pokeren maar lastig betekende niet onmogelijk. De tijd van 20/24 tafels spelen was voorbij, er was meer focus nodig om niet weggespeeld te worden maar dit maakte op zich het spelletje alleen maar uitdagender. Aanpassen aan zowel de omgeving als de spelers aan tafel is een van de belangrijkste poker skills. Als 20/24 tafels het meeste geld oplevert dan is het prima om zoveel tafels te spelen, als dat niet meer werkt is het tijd om je aan te passen en iets anders te gaan doen. Ik verruilde Full-Ring voor 6-max omdat daar meer liquiditeit (meer spelers/tafels) was en ook dat was weer aanpassen. Ik miste en mis nog steeds het grinden van vroeger, maar in je hoofd is vroeger altijd beter en dat is iets waar je niet teveel mee bezig moet zijn. Zoals ik al zei werd mij vaak gevraagd waarom ik bijna alleen maar Limit speel en aangezien de resultaten ook wat minder werden ging ook ik twijfelen of dit nog wel de juiste koers was. Pot Limit Omaha was al behoorlijk in opkomst maar ik zie dat mezelf gewoon niet grinden, waarom weet ik eigenlijk nog steeds niet. Ik vind het leuk om Razz of Triple Draw te spelen maar om daar je brood mee te verdienen is best lastig, zoveel tafels zijn er doorgaans niet en daarmee is het best lastig volume te draaien iets wat wel noodzakelijk is voor iemand die z’n geld wilt verdienen met poker. Vorig jaar heb ik dan toch maar besloten om No Limit cashgames eens te proberen. In het begin was het aanpassen, aanpassen en nog eens aanpassen. Je pre-flop handselectie is veel tighter in No Limit, bijna tot het saaie aan toe voor iemand die gewend is redelijk loose te spelen (dat is ook wel anders geweest toen ik begon met poker). Ik callde vooral veels te licht af in het begin, denkende dat mijn tegenstanders toch niet elke keer de nuts zouden hebben. Ik had geen notes op spelers, de playerpool is ook nog eens veel groter zodat als ik notes maakte ik de spelers ook weer niet zo heel vaak tegen kwam. Toch best wel lastig dat No Limit. Langzaam aan werd ik wel beter maar beter spelen was in veel gevallen nog tighter spelen. ABC poker is goed genoeg om te winnen op de lagere stakes maar ABC poker is wel verdomde saai wat mij betreft. Stacksizes spelen eigenlijk geen rol in Limit (zelden zit iemand short), hier rekening mee houden was behoorlijk aanpassen maar op den duur ging ook dat wel beter maar werd het leuker? Nee! Wat maakt Limit dan zo leuk? De actie wat mij betreft! Het spelletje is veel sneller omdat de beslissingen makkelijker zijn. Er zijn 3 keuzes (Bet,Call/Check,Fold) en je hoeft niet na te denken over betsizes (al zijn die vaak ook redelijk standaard voor No Limit grinders). Vooral dat lange nadenken wat de meeste spelers doen in No Limit irriteert mij mateloos. Misschien dat het mijn spel ook wel zal helpen als ik wat langer nadenk maar ook wanneer ik live een toernooi speel verbaas ik mij altijd over de tijd die de meeste spelers nemen voor de meest triviale beslissingen. Veel mensen klagen ook over het feit dat je zoveel suckouts krijgt in Limit. Als je ooit serieus Limit hebt gegrind ben je in ieder geval immuun voor bad beats, iets wat de meeste No Limit spelers zeker niet zijn. Als je snel tilt moet je zeker geen Limit spelen, maar op zich is het ook niet verkeerd om een tijdje Limit te spelen als je veel tilt, want je zult aardig wat zure rivers om je oren krijgen en dit maakt je hopelijk alleen maar minder tilt gevoelig. De swings zijn helaas in Limit wel wat groter dan in No Limit, iets wat veel mensen vaak niet verwachten maar dit komt juist door het feit dat je veel meer turns en rivers ziet en veel meer handen speelt dan in No Limit. Ook het meer handen spelen maakt Limit gewoon leuk, 50%+ handen openen op de button is vrij standaard en in de small blind kan daar nog wel een schepje bovenop. In Limit is de keuze vrij simpel, we betten net zo lang totdat de tegenstanders wat van zich laat horen. Krijgen we een call of zelfs een raise dan heeft onze tegenstander in veel gevallen een flush-draw of misschien T9 voor een straat draw. Zolang er geen flushes of straten liggen op het board gaan we betten of raisen maar meer kunnen we niet doen. Valt de flush toch op de river dan trekken we waarschijnlijk een zuur gezicht, callen we de bet van de tegenstander nog omdat de pot al groot genoeg is zodat we wel moeten callen (onze tegenstander kan ook bluffen of een kleinere set/twee paar hebben) maar dat is het dan ook wel. In No Limit hebben we wat dat betreft wat meer opties. We gaan waarschijnlijk onze bet zo sizen dat het onaantrekkelijk is voor onze tegenstander om zijn draw te chasen in de hoop dat hij dit toch doet. Afhankelijk van de stacksizes pushen we op de turn misschien wel all-in en geven we zo de tegenstander eigenlijk alleen maar de optie om met ongunstige odds nog verder te gaan in de hand. Mocht de tegenstander dit doen en de flush valt ook daadwerkelijk dan ben je waarschijnlijk wel een stukje zuurder dan in het Limit voorbeeld aangezien je je hele stack kwijt bent, maar je hebt er tenminste alles aan gedaan om je hand te beschermen, iets wat onmogelijk is in Limit. Veel No Limit spelers vinden vooral dit soort situaties irritant, alleen als je eenmaal gewend bent aan Limit dan gaan dit soort dingen je niet eens meer opvallen. Je verliest nu eenmaal wat vaker in Limit van mensen die draws chasen, daarentegen kan jij ook veel vaker een draw chasen en zo grote potten winnen. Het chasen van draws is ook meteen de grootste fout die de meeste beginners in Limit maken. Elke tussenpin of overcard is goed genoeg om toch nog even te kijken of we de turn niet hitten, we hoeven namelijk maar 1 hele kleine bet te betalen om te kijken. Echter is in veel gevallen de pot nog zo klein dat je helemaal geen odds hebt om te chasen en zo verdient de ervaren Limit speler elke keer weer een beetje geld. Net zoals in No Limit is het vooral passief spelen wat het meeste geld kost, semi bluffen is je belangrijkste wapen in Limit dus als we chasen dan kunnen we maar beter dit op een agressieve manier te doen d.m.v. te raisen en niet alleen te callen en hopen op verbetering. Heb ik je overtuigd? Waarschijnlijk (nog) niet, maar wie weet heb ik je wel een beetje nieuwsgierig gemaakt naar de Limit wereld. Vind ik No Limit dan helemaal niet leuk? Opzeker wel! Toernooien speel ook ik het liefst No Limit, lekker druk zetten op je tegenstander door all-in te pushen en bidden dat je tegenstander fold is toch wel het beste gevoel wat je kan hebben in poker. Sit & Go’s, vooral Hypers vind ik ook leuk maar No Limit cashgames gaat het voor mij gewoon echt nooit worden. Ik zal dan ook nooit stoppen met zo nu en dan wat toernooien te spelen maar Limit cashgames blijft mijn favoriete keuze. Waarom dan geen toernooien is een heel ander verhaal maar het is vooral de hoge variantie wat mijn tegenhoud om dag in dag uit toernooien te grinden. Dit was vooral een introductie, de volgende blog wil ik dieper duiken in de wereld van Limit Poker. Tips hoe te beginnen met Limit, waar je vooral op moet letten en misschien wat meer voorbeeld handjes. Tot de volgende keer!